After two years living in our 1 bedroom Brooklyn apartment, we are on the move to a bigger place and looking to find the perfect plug in wall sconce for our modern industrial apartment. Kaz and I love this timeless mid-century modern option that fits well with our clean monochrome bedroom. This sconce has lovely soft curves, is a little romantic and this style is something I can install myself easily without needing an electrician. We are crazy for rattan and love adding this texture into spaces we design! 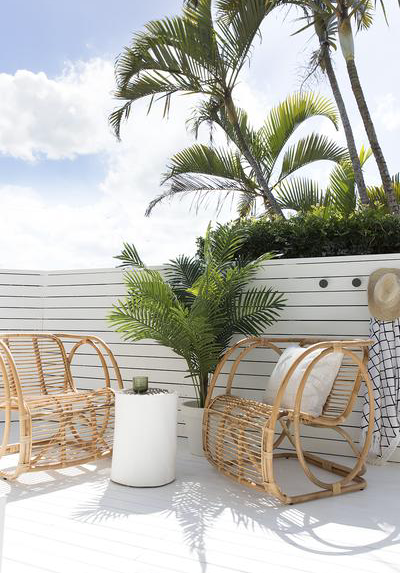 It's one of those textures that sits well with leather, timber, concrete and steel and we have found the mecca of rattan in Australia and recently fell in love with their Bentley lounge chairs. There is something soft and sculptural about the design, large in scale yet light on the eye. These lounge chairs could also easily work in a lounge room and bedroom with or without a throw cushion. 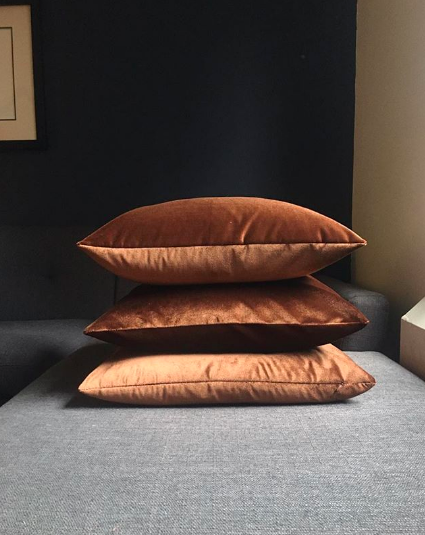 Finding an expert cushion maker is a challenge and from time to time we have our own fabric needing to be sewn that we have sourced from a local fabric designer or something vintage we have found on our travels. On other occasions we want to design our own cushions all in one place - a one stop shop. Introducing Stitchroom, an online platform based in Brooklyn, creating custom textile products using the fabrics of your choice. We love this concept as it saves you from running around town sourcing fabric, zipper and finding a maker. We just used there easy online portal to order a few cushions for our lounge room mixing their in-house fabric line. Over here at HQ we are still velvet obsessed and always on the look out for new casual ways to work with this premium looking fabric. 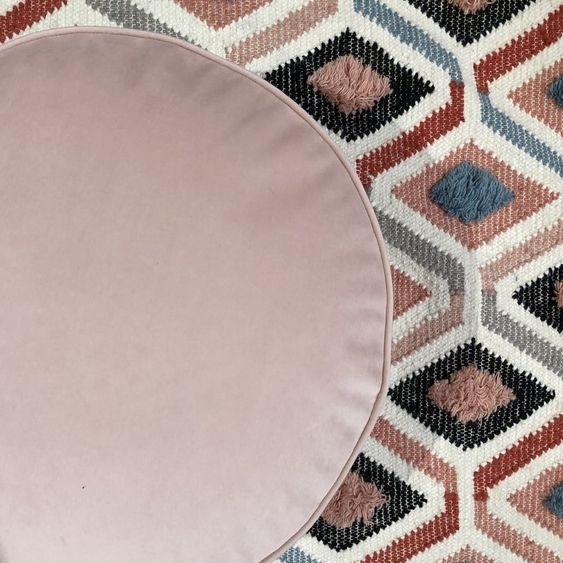 These ottomans are so beautiful and you'll have a hard time choosing from the extensive 25 color options. There are 4 different size options, for this round boxed floor cushion that are pipped and made locally in Perth Western Australia. Don't fret - they also ship internationally! In the warmer months we love to lighten up our towel situation and this new collection from Hawkins New York is exactly what we have been looking for. Made of 100% cotton for absorbency and softness. Loomed of waffle knit cotton, these towels are finished and stonewashed in Portugal and their construction means they are extremely absorbent, quick to dry and don't shrink.